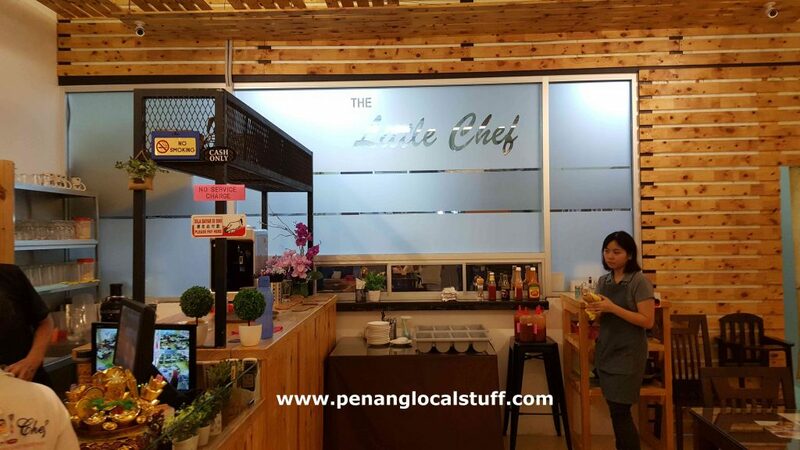 The Little Chef, located in Arena Curve, is a restaurant that serves “fusion” Western food, i.e. 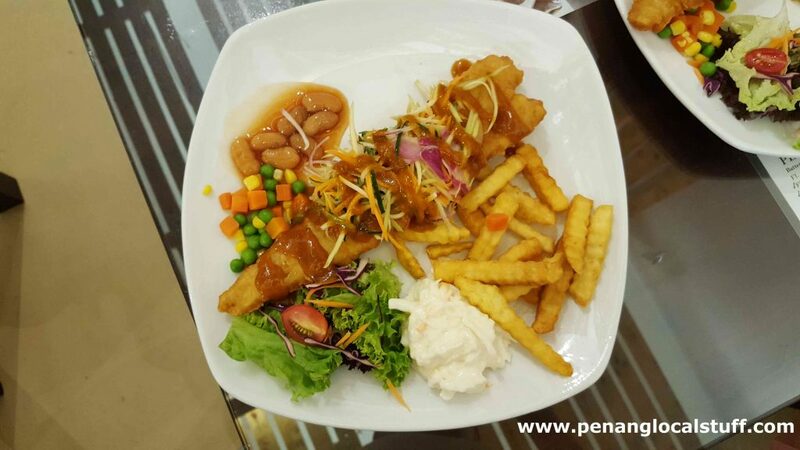 Western food adapted to the local Penang taste bud. 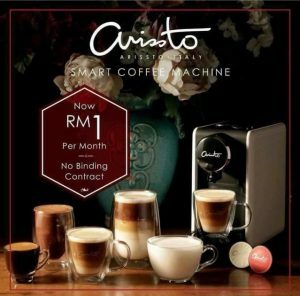 The restaurant’s address is 72-01-2, Arena Curve, Jalan Mahsuri, Bandar Sunway Tunas, 11900 Bayan Lepas, Penang. It is right beside Nyonya Willow, and diagonally opposite Arang Coffee. The dishes here are quite similar to those served at Western food stalls in coffee shops around Penang. But, The Little Chef’s dining environment is nicer. 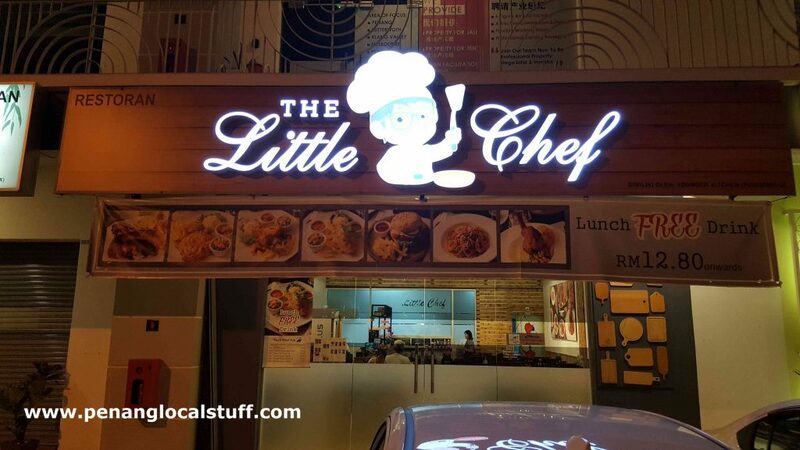 The prices of Western food at The Little Chef is very affordable, unlike other Western restaurants found in the shopping malls. The variety of food available is quite good too. 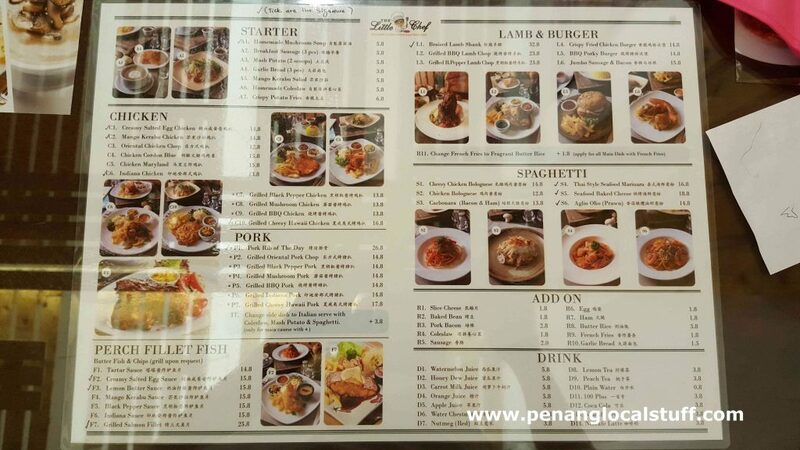 There are chicken cordon blue, chicken chop, fish & chips, pork ribs, braised lamb shank, spaghetti, burgers, mushroom soup, and many others.